The title of this product might not sound very inspiring, and to be fair, the product (on the surface) probably doesn't come across very inspiring either. So, my Mum and I have recently discovered Sallys and the fact that they sell OPI and China Glaze, which is enough to make me skint for the rest of my life. Well, I say "discovered", I've known of their existence for a really long time, but I've never actually been in one before. Expect a couple of reviews coming up, that are Sallys related. It's a product that most of us ladies use, especially if we're fond of nail polish and nail art, which of course so many of us are. But, it's one that most of us don't put a lot of thought into until that moment when we just can not get our polish off. 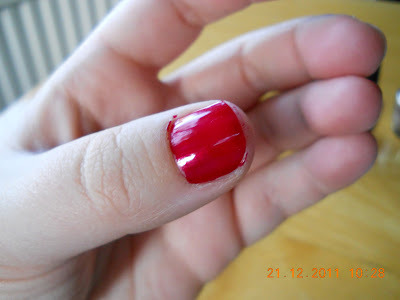 That is when the cursing comes on, and we moan about how rubbish nail varnish removers are. And of course, many of us take to our blogs to moan about them. Don't worry, I've done it too. 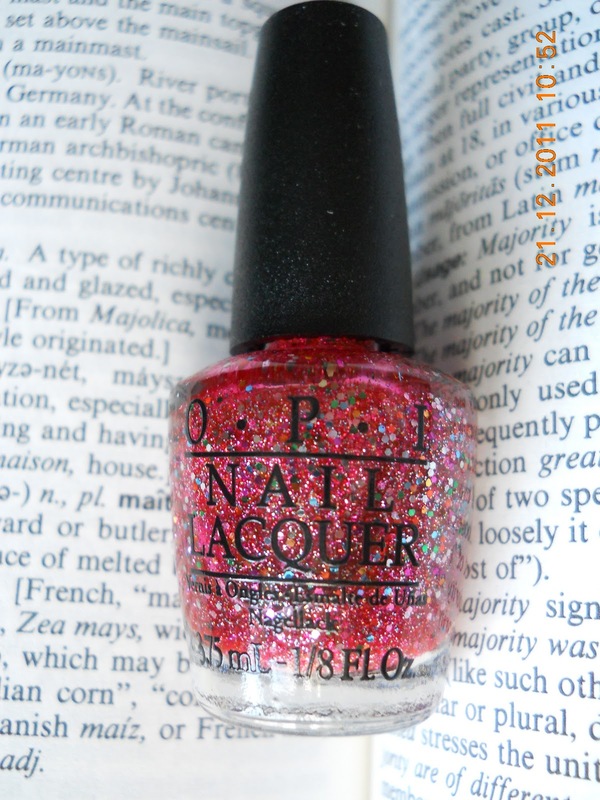 But, it's true to say that when it comes to certain types of polish, very few polish removers are capables of getting them to budge. 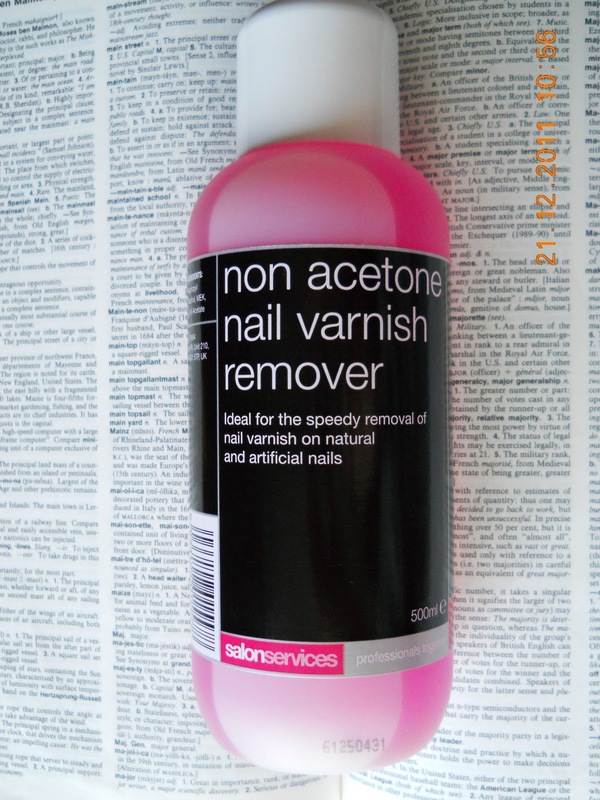 "Ideal for the speedy removal of nail varnish on natural and artificial nails." That sounds like a challenge to me! Yesterday I was wearing a dark blue Barry M polish, which was an excellent opportunity to really try out exactly how "speedy" this product is. 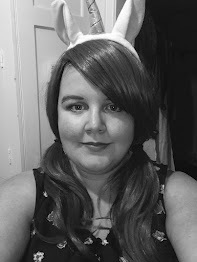 Being a product that I imagine is aimed at the beauty trade industry, over the average-Joe's and Joanna's like myself, I wouldn't expect anything less than speedy, but I decided to find out. The Result: With dark shades, I generally have to scrub for quite some time to get them off, but I was impressed that following one, firm sweep of the cotton wool (with product on it, of course), I'd say about 90% of the blue polish was gone. This isn't perfect, in which I'd love for it to be completely gone, but with other brands I've been known to barely take off a layer with a the first few wipes of the cotton wool. And with a second sweep, the polish was completely gone. Impressive, I have to say. But, I wasn't happy just trying one test on the varnish remover. Oh no, I decided to try something else too. And that is of course the glitter test. 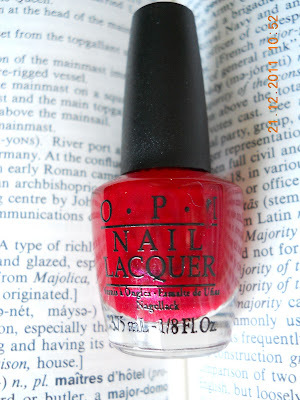 From past experience, the Excuse Moi polish is particularly impossible, at times, to get off with most removers.So, it makes perfect sense to test out this one. The Result: Admittedly, the results weren't as instantaneous as with the blue polish. After the first firm wipe, there was still a lot of colour and glitter left. 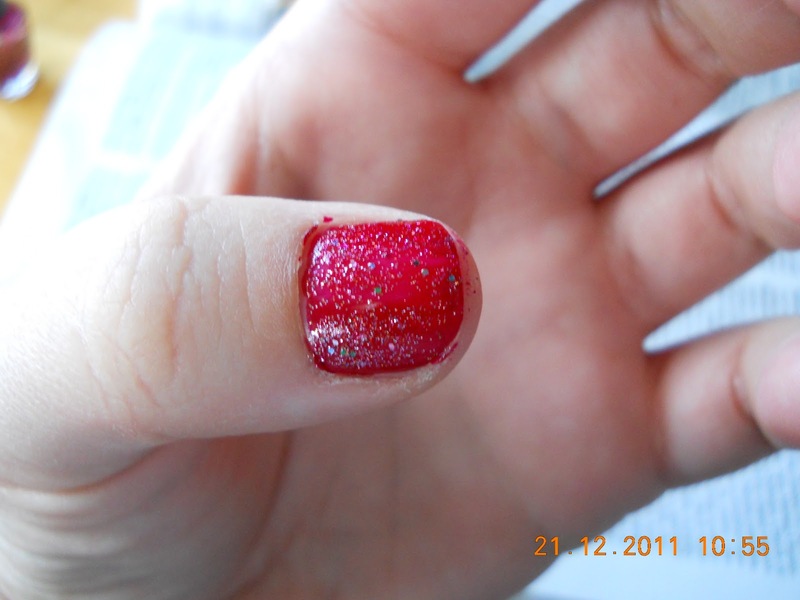 However, I still managed to get it off using one piece of cotton wool, with one dose of remover, rather than half a gallon (only a slight exaggeration of course ;P) and it honestly didn't take as much scrubbing to get those last flecks of glitter. Would I buy this Remover again? Definitely. At over £3, I think it's an absolute bargain considering the bottle is much larger (500ml) than most standard-sized removers, and I know that it will last a lot stronger. I'm definitely very impressed with how quickly (or "speedily") it gets off even the most stubborn of polishes and colours. I really can not emphasise how great I found it. I'm also happy that it's an effective product that is acetone free, because my previous non acetone products have been a bit rubbish, in my personal experience. Also available: £1.99 for 125ml.